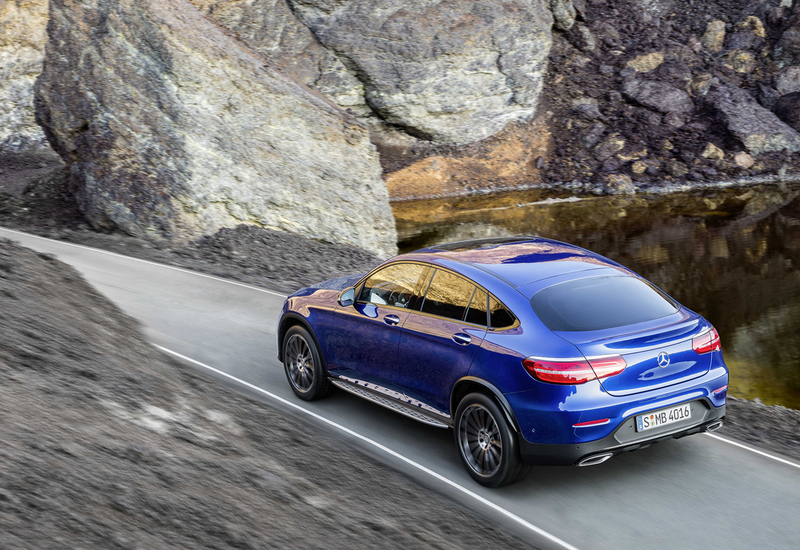 Mercedes has confirmed its new GLC Coupé will be priced from £40,580 OTR. 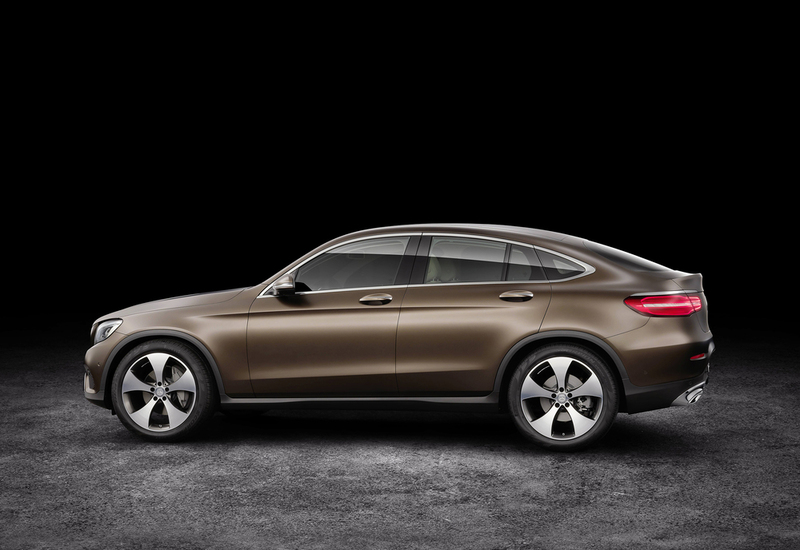 The newest addition to the GLC range, the Coupé combines SUV practicality with Coupé-style looks, says Mercedes. The range starts with the GLC 220 d which is powered by a 2.1-litre 170 hp diesel engine and delivers 56.5 mpg on the combined cycle and returns 131 g/km of CO2. The GLC 250 d (£41,735 OTR) is also powered by the 2.1-litre engine, with a higher output of 204 hp, and achieves 56.5 mpg and 131 g/km. A 9G-TRONIC automatic transmission is standard. Two Sport and AMG Line lines are available. Standard equipment includes Garmin Map Pilot navigation system; Active Park Assist; Artico upholstery in black or beige; keyless start; reversing camera; LED performance head lights; heated front seats; sports suspension; electrically operated tail gate and mirror package (consisting of electrically operated and automatically dimming mirrors). The Sport model comes with a black ash wood interior trim, 18-inch alloy wheels and a diamond grille with black-painted pins. For an extra £1,495, the AMG Line adds an AMG sports steering wheel with flat bottom; brushed steel sports pedals; black roof lining; and Artico leather in either black or Cranberry Red. The exterior features an AMG bodystyling kit; 19-inch five-twin-spoke alloy wheels and a diamond grille with chrome pins. The Premium package (£1,495) and Premium Plus package (£2,795) are available as options across the GLC Coupé range. The Premium package includes ambient lighting; sliding glass sunroof; Keyless-Go comfort package; and memory package. To this the Premium Plus package adds COMAND Online infotainment system and a 13 speakers Burmester surround sound system. The optional Lane Tracking package (£595) adds Blind Spot Assist and Lane Tracking Assist, and is available on both Sport and AMG Line models. The Driving Assistance Package (£1,695) includes Active Blind Spot Assist; Active Lane-keeping Assist; Distronic Plus with Steering Assist; BAS Plus with Crosswind Assist; Pre-safe Plus; and Pre-safe Brake with pedestrian detection. On AMG Line models a Night Package (£495) adds detailing including black exterior mirrors; 19-inch alloy wheels with five-twin-spoke bicolour design; front apron with trim in high-gloss black; and rear apron with diffuser in high-gloss black. Available to order now, first UK deliveries are expected in September.